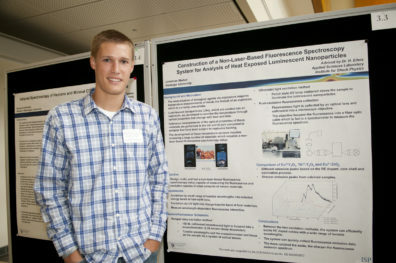 The Institute for Shock Physics provides an opportunity for talented undergraduate students who want to participate in a 9-week, multidisciplinary Summer Undergraduate Research Experience (SURE) studying “Materials under Extreme Conditions.” We are now accepting applications for the 2019 SURE program. For more information the 2019 SURE, please click here. 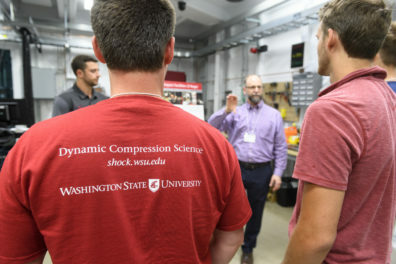 The Dynamic Compression Summer School (DCSS) has been established to provide an overview of dynamic compression science appropriate for upper-level undergraduates and first-year graduate students. The four – five days of lectures, discussion, and tours will introduce students to the scientific fundamentals, broad scientific applications, and career opportunities within this vital, diverse and challenging field. For more information about the DCSS, please click here.